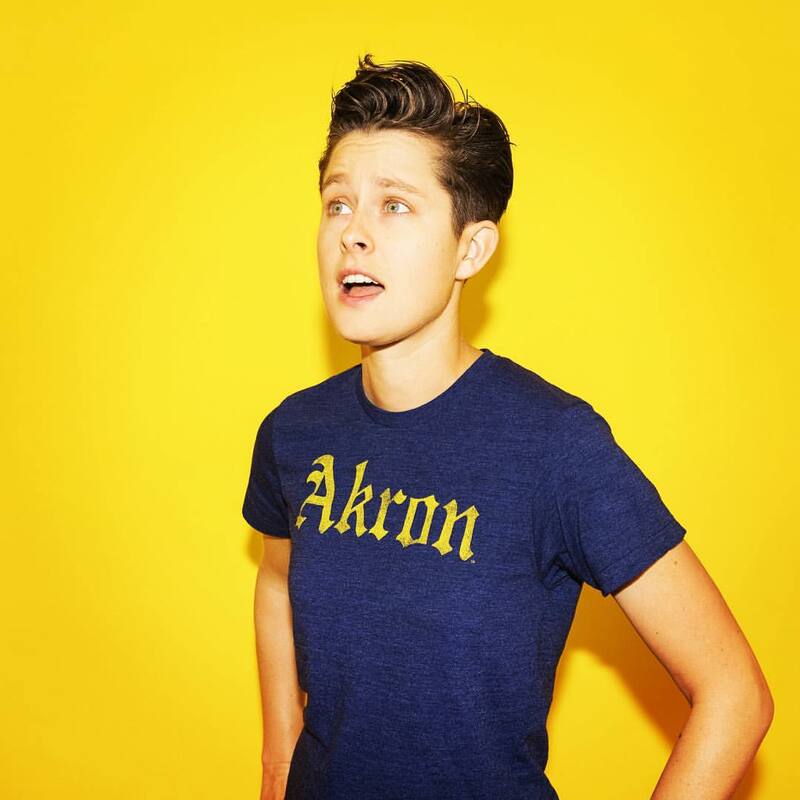 Akron-born standup comedian Rhea Butcher performed for a packed, flannel-clad crowd at the Woodward Theater on April 5. The excitement in the audience was palpable: here was the formidable co-creator and co-star of Take My Wife, a show about two married lesbian comics who work and perform together—much like Butcher and their wife, Cameron Esposito. 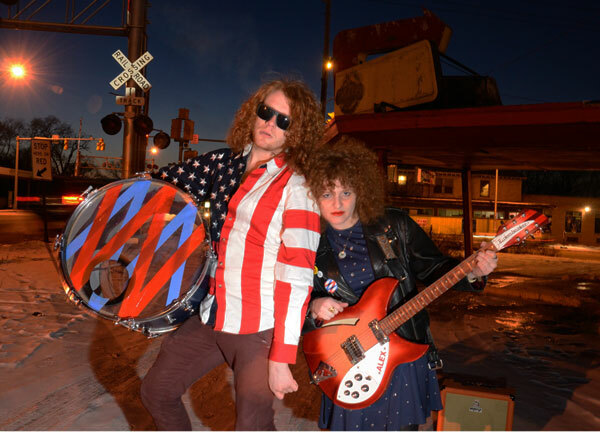 I spoke with Butcher about their nonbinary comedic philosophy, what it’s like to work with their wife, and how they will never really leave Akron behind. I started doing standup in 2011, but before that I did improv for a year and a half in Chicago. I really enjoyed taking improv classes, because it made me comfortable with the terrifying act of getting up in front of a crowd of people. 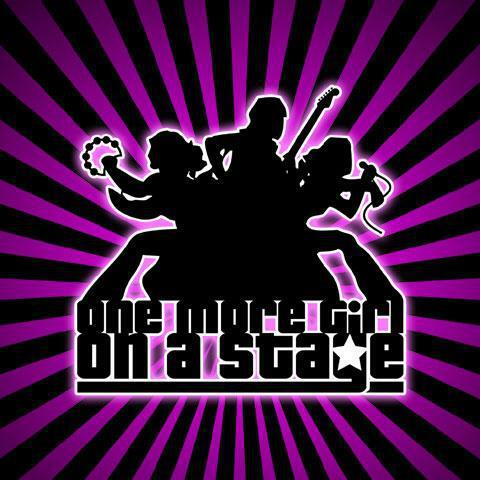 One day I was at this club, and Cameron Esposito (my now wife) spotted me in the audience and invited me to stand up. So yeah, I met my wife at her open mic. I thought she was brilliant and powerful and she was the top comic in Chicago at the time and I’d never seen someone do comedy like her. She taught me a lot. Can you tell us your philosophy of comedy? What is its purpose? What do you try to do with your comedy? Every day I’m trying to figure that out. What’s interesting is that I feel both ways about it: comedy is powerful and can make a lot of social change. You have an audience of people that you’re hopefully making laugh. You’re inviting them to agree with you in laughter, to allow themselves to be vulnerable enough to laugh. It’s especially powerful for people in minoritized positions to be able to do that. But on the other hand, I wish we didn’t have to do that. It would be nice just to tell jokes and not feel like you have to work on social change all the time. [laughs] It’s true that comedy has always done that; it has always commented on society. But sometimes you don’t want to be an Important Comedian. Sometimes you just want to do your job. “People are like ‘we get it, we get it, you’re from Akron,’ but it’s important to me that I’m from a place.” Image credit: Woodward Theater. I love your jokes about what nonbinary means and how it’s not that hard to conceive of gender as more than just two boxes: man/woman. 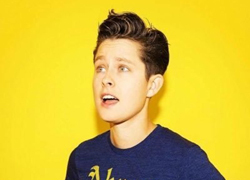 Do you think the comedy world is opening up at all for nonbinary and queer comedians? Sure. I mean, I think when you say “comedy” it depends on where and when you’re talking about. Open mics in Cincinnati, Chicago, Cleveland, places like that, I guarantee there’s at least one, if not a handful of such comedians. But in LA and New York, the numbers are different. It’s opening up, sure, but it’s on a timeline. At the same time, it’s important to note that these are not new concepts. 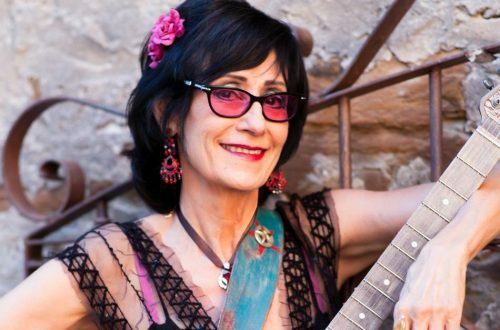 Nonbinary and trans and gender nonconforming people have always existed. The language might be new for some, the idea might be new for some, but it’s not like we’re brand-new. [laughs] It’s just that the language is evolving, and we have some more technology to be able to share and talk about it more. But there are so many factors. It’s not like I can point to one thing and say “that did it, that opened comedy up for me!” I mean, sometimes people like to say that lesbian comics have it easy because of Ellen and Wanda and Rosie. But three lesbian comics is not enough! [laughs] We’re not all the same! We don’t all share the same experience. We need lots of different comedians, we need all kinds. Do you perceive a difference between how your comedy was received pre-November 2016 and how it is received now? I love my home state, and I love being home. It’s nice to be in Cincinnati. I feel comfortable here because I love bad weather. [laughs] I actually miss bad weather now that I live in LA. I feel that living in LA, people are sometimes like “we get it, we get it, you’re from Akron.” But it’s important to me that I’m from a place. It’s important, as somebody who has left a place, especially one that has a particular blue-collar connotation to it, that I still retain that identity. I will never completely leave the place where I spent the majority of my life. I’m not somehow reinventing myself by living in LA. I’m unashamed to live in LA, but I’m equally unashamed to be from Akron. I can’t end without asking you about Take My Wife. What is it like making that show, and making it with your wife? I’ve never had a job that put me in charge of anything and I’ve tried to be a good boss. 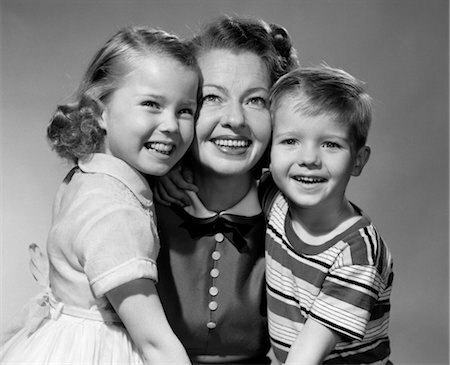 [laughs] I learn everyone’s name, and at the end of each day, I give every single person a high five and say, “thank you for your hard work today.” We focus on hiring women and people who are right at the precipice of getting the credits they need to get into a union or to get a higher position. We want to bump people up. That side of it is very important to me. Also, it’s so hard to make a television show about your relationship. Because after making the show with your wife all day and making scenes where you talk about your relationship, the last thing you want to do when you get home is talk about your relationship, right? [laughs] … [sighs] But of course you have to. 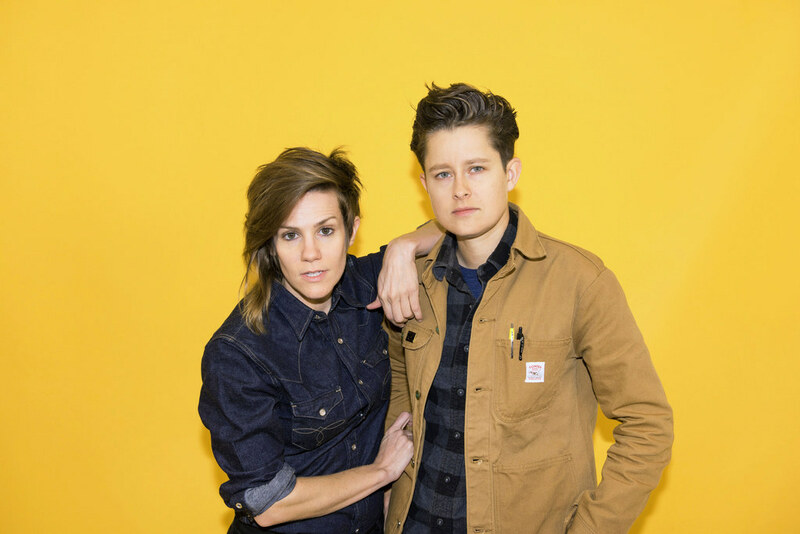 Rhea Butcher (right) and Cameron Esposito (left) just found a new home for their ex-SeeSo series, Take My Wife. It will premiere on Starz beginning May 1. Photo Credit: Jared Harell/Buzzfeed. I have one last question for you: why aren’t straight, cis men funny? Here’s the thing: they are funny. It’s just that we are, too. We’re all funny. That’s all anyone is saying. I don’t want cis white men to shut up. I don’t want them to stop participating. I want them to participate with us. I want everyone to participate.